Have a hankering for some Taiwanese food? Craving to get your hands on a nice hot bowl of Lu-Rou Fan? 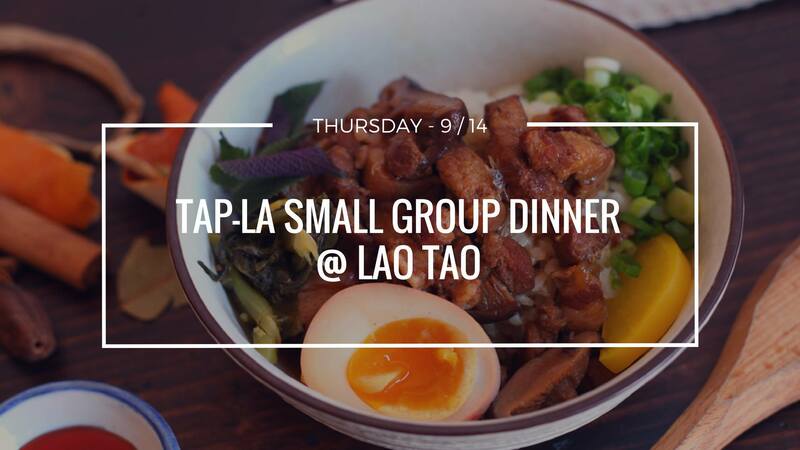 Then come join us for our September Small Group Dinner! Come and meet fellow members of TAP as well as members of the board to kick off our new year. What better way to have fun than to eat great food and meet new friends! There will be 15 spots available for this event so please RSVP as early as you can! Space is very limited so please register early!